Finally, this picture comes in handy. 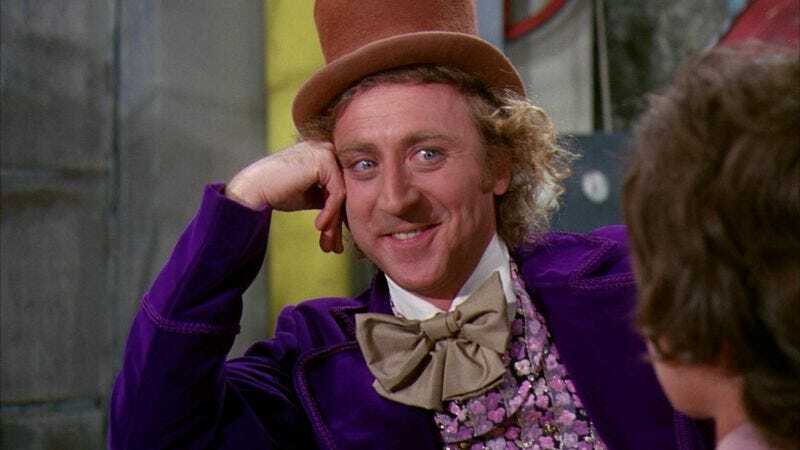 Less than two months after the death of original Willy Wonka And The Chocolate Factory star Gene Wilder, Warner Bros, has announced plans to re-invigorate the franchise. According to Variety, Harry Potter and Fantastic Beasts And Where To Find Them producer David Heyman has teamed with the studio to create a new movie based around the character of Willy Wonka; the Roald Dahl estate is also on board, and sold Warner Bros. the rights to the character earlier this year. No writers, cast, or director have yet been announced for the project.